Is it any wonder that Alissa Tiegen Smith—a noted bangs-cutting expert who employs a strict level of precision in every style she creates—draws a great deal of her inspiration from 1960s style icons like Jane Birkin along with musical acts like Patti Smith and the Talking Heads? 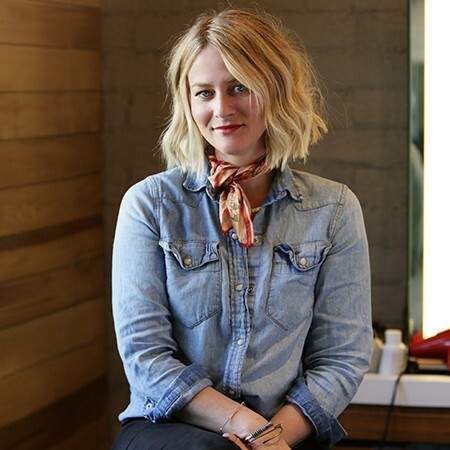 Her style is eclectic and fresh, and because she’s got a knack for tailoring it to suit the unique esthetic of each and every one of her clients, it’s placed her among the upper tier of LA’s elite haircutting professionals. Having gotten her start at Sally Hershberger at John Frieda, Alissa worked at Neil George salon for seven years before Meche opened its doors in 2012. Over the course of her career, she’s become known for her meticulous attention to detail, which includes not only dry-cutting the hair to ensure the utmost in texture and movement, but sharing with her clients helpful tips and tricks on making the most of their cuts once they leave the salon.